deSIGNery Sign Co is a supplier of high quality 3 Dimensional Wall Letters and Graphics. 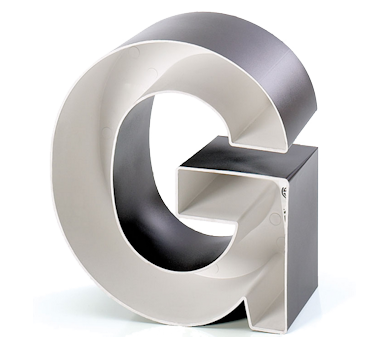 Dimensional metal letters are made from a variety of materials and in various thicknesses. Foam letters and plastic letters have a wide variety of applications. A few examples of uses are in lobby areas, trade shows and building signs. We can install them or they can be purchased for customer installation. 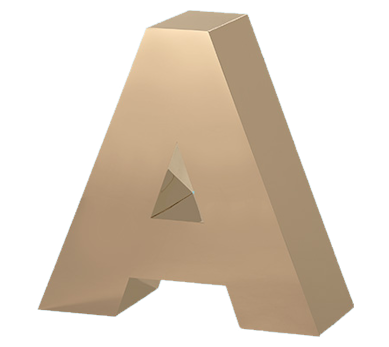 Three Dimensional letters are great for creating a positive company image. 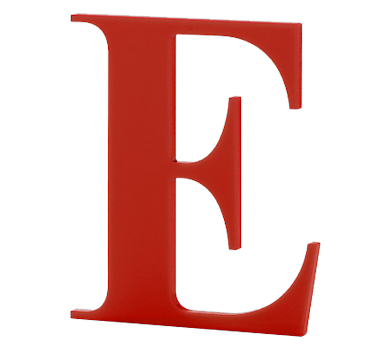 These non-petroleum-based plastic dimensional letters are ideal for indoor or outdoor use. Also known as Minnesota letters, these letters are available in six font styles and are finished with UV stable paint with 45 standard color choices. All Minnesota injected molded letters come with a lifetime guarantee. 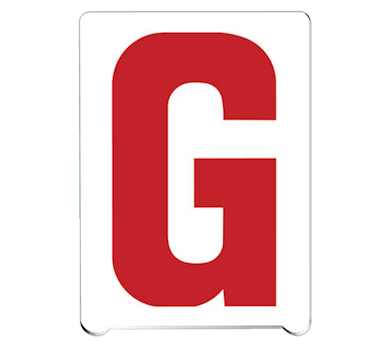 Gemini Formed Plastic letters are available in 31 standard colors and more than 120 type styles. Formed plastic letters (dimensional letters) are ideal for indoor or outdoor use and are weather resistant. Based on your artwork, formed plastic can be custom made into your company logos and letter style. All Gemini Formed Plastic Letters come with a lifetime guarantee. These light weight laser cut acrylic plastic letters & graphics are easy to install on almost all surfaces. Gemini acrylic dimensional letters are available in 32 standard colors or can be painted to match your company colors. Acrylic letters can be as small as 1 inch and as large as 6 feet. Gemini Laser Cut Acrylic Letters come with a lifetime guarantee. 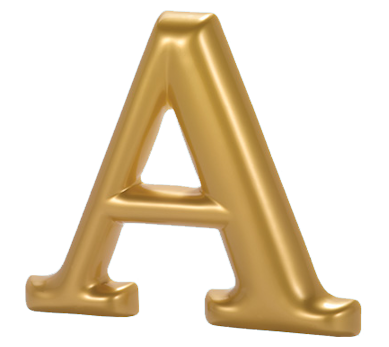 Gemini cast metal letters are manufactured from bronze or aluminum alloys and contain no lead or mercury. This quality dimensional letter is easy on the pocketbook and looks awesome in any setting. 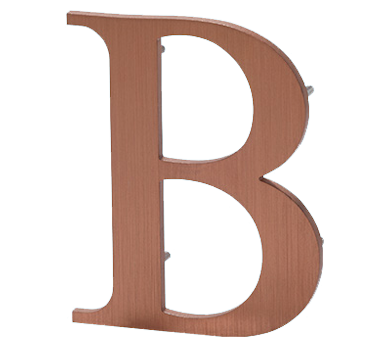 With over 60 type styles and a variety of finishes, cast metal letters could be a economical choice for your indoor or outdoor project. 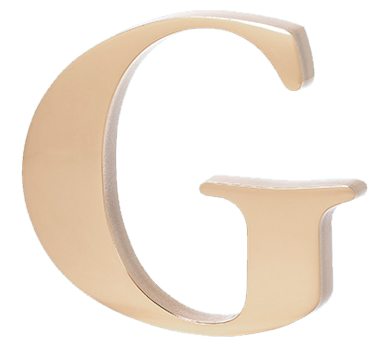 Gemini Cast Metal Letters come with a lifetime guarantee. 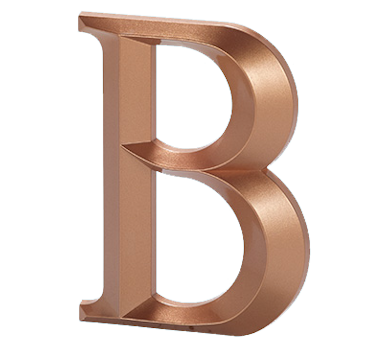 These cost-effective flat cut metal letters are perfectly cut with lasers and water jets using bronze, brass, copper, aluminum, stainless steel or Cot-Ten® steel. Now available in six thicknesses and sizes from 1" to 5" and over 50 standard finishes. This product is perfect for an outdoor setting and classy enough for your office interior use. 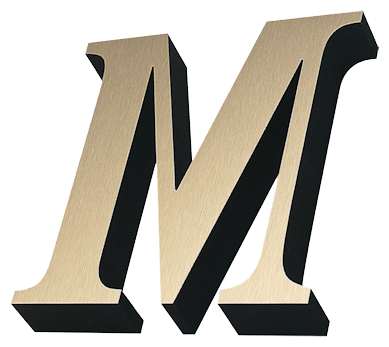 Gemini Flat Cut Metal Dimensional Letters come with a lifetime guarantee. Handcrafted stainless steel fabricated metal letters from Gemini are now available in over 100 standard font styles. Fabricated metal letters are perfect for LED backlighting and hold up well in all weather conditions. A plethora of finishes are available on our dimensional letters including popular choices like brushed, polished and custom paint. Gemini Fabricated Metal Letters come with a lifetime guarantee. Our UL Listed GemLite dimensional letters are ready for a licensed electrical contractor to complete the final wiring. 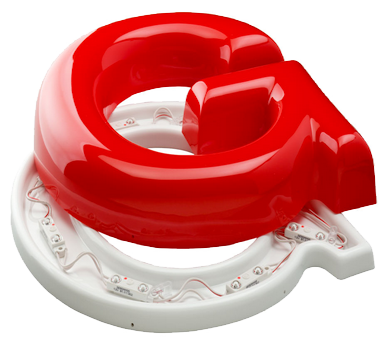 Gemini GemLite formed channel letters are made from translucent, LED-compatible, corrosion-resistant pigmented plastic. These awesome looking building dimensional letters add real class to your channel letters with face-illumination that extends to the side returns of the letters. 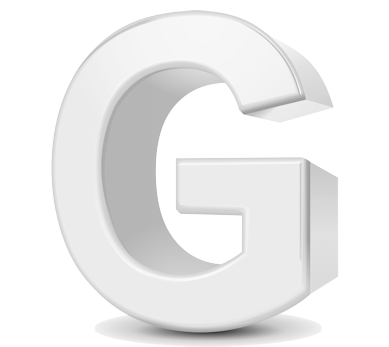 Gemini GemLite Formed Channel Letters come with a lifetime guarantee. GemTrim letters are made with impact-modified acrylic and Gemini's GemTrim™. Trim-capped faces are precision-cut and built to fit our standard Injection-Molded Channel Letter. As these cans are injection molded, the trimmed faces are an exact fit to each and every dimensional letter. This allows for easy replacements, if ever needed. Gemini GemTrim™ Letters come with a lifetime guarantee. Pronto™ changeable copy numbers & letters are individually injection molded and is not sawed or sheered from just any plastic like other brands, but is the only changeable letter product that’s injection molded to produce smooth, clean, and consistent corners and edges. Also available in Moonglo™ reverse copy - designed to limit light leak on a changeable sign. Injection Molded Channel Cans work with Neon or LED illumination, These cans are virtually indestructible and precision-molded using UV-stable plastic. Injection molded cans hold up better than aluminum channel cans in harsh environments because they are corrosion-resistant. Injection molded dimensional letter cans are rated for outdoor use. Gemini Injection Molded Cans come with a lifetime guarantee. Gatorfoam® dimensional letters, graphics and logos are lightweight, durable, economical and easy to install. Gatorfoam is a polystyrene foam with a smooth veneer laminate on the face and back. 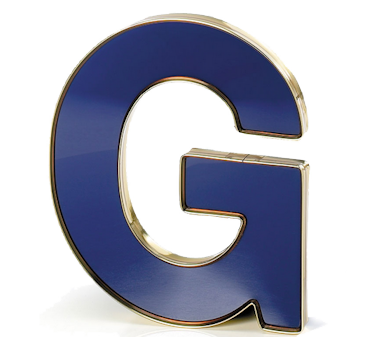 Our Gatorfoam® letters come in a variety of thicknesses ranging from 3/16" up to 12 inches and up to 95 inches tall. Howmac offers thirty-six standard colors and Pantone® or custom color matching. In addition to our metal laminates, we stock and special order Wilsonart® and other laminates of your choice. deSIGNery offers over 8000 varieties of dimensional letters. Just about anything you are looking for is available from metal laminated gatorfoam and dynofoam to dibond and medex letters. With hundreds of paint colors, metal laminations and Wilsonart® laminate, we will have what you are looking for and at a competitive price. Want to emboss your company name in concrete, we have high density foam specifically designed for that. deSIGNery has been a BBB Member since 2004 and has maintained an A+ rating since joining. Customer satisfaction on items like dimensional letters is what brings our customers back year after year. Click on the BBB logo above to leave a customer review of our dimensional letters product or just to check our impeccable record. At deSIGNerySigns.com we have more than 24 years experience in the layout and design of dimensional letters. Our design specialists will be more than happy to help create your next dimensional letters to promote your business. Call Today for a free quote and the benefits of our experience of more than 24 years in helping customers like you! Contact us today on this once a year Spring sale! All prices for dimensional letters have been reduced for this yearly sale and will go back to the original price after 5/31/2019. Sale prices include free basic layout, email proofs, complete quotes along with suggestions for a more cost effective alternative product if applicable and FREE Shipping on all decal and sticker products. Our design staff can answer your questions and concerns. Click here to get a conversation going and discover the ease and professionalism of the deSIGNery sign specialist.